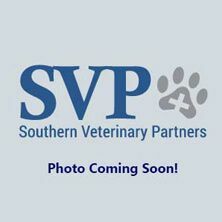 Jud Alverson joined Southern Veterinary Partners' Business Development team in 2018. Prior to SVP, Jud worked almost 20 years in the mortgage banking industry. A native of Pell City, Jud graduated from Jacksonville State University with a degree in Finance in 1999. Jud and his wife and live in Pell City with their two daughter's, Amelia & Caroline. Jud also serves on the city council in Pell City and in his spare time, enjoys spending time with my family, traveling and playing golf.